& from Scotland including Toftwood. The SHM-CD [Super High Material CD] format features enhanced audio quality through the use of a special polycarbonate plastic. Using a process developed by JVC and Universal Music Japan discovered through the joint companies' research into LCD display manufacturing, SHM-CDs feature improved transparency on the data side of the disc, allowing for more accurate reading of CD data by the CD player laser head. SHM-CD format CDs are fully compatible with standard CD players. 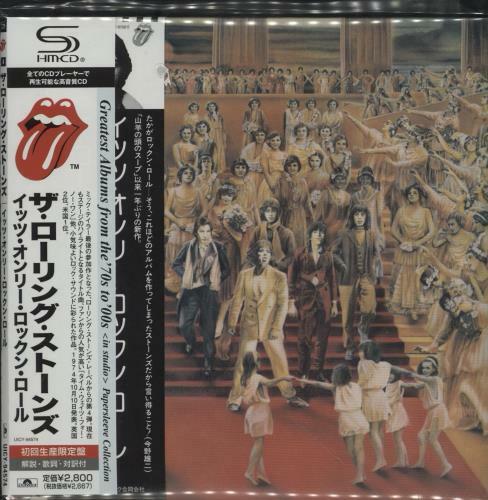 Product Information Rolling Stones It's Only Rock 'N' Roll Japan SHM CD.